Reflecting on the past 12 months since I took over as Master, I am pleased to report that it has been a year of noteworthy achievements and milestones. These were made possible by many of our Fellow Academicians, who had volunteered and contributed altruistically in one way or another towards the Academy and our profession. The priorities laid out in our Strategic Plan 2012-2014 set the tone for the initiatives and accomplishments achieved in the last year. Considerable efforts were made to improve communications with Fellows. I hope the bi monthly Master’s updates have given our Fellows a deeper understanding of what the Academy has done and aims to do. On this note, I am excited to unveil today a new and improved website for the Academy and its Colleges and Chapters. With the fresh appearance and innovative format, we will continually update and expand our online content so I encourage you to bookmark it. With more tangible membership benefits and a strong concerted effort by our Colleges and Chapters, we welcomed 125 new Fellows to the Academy in 2012, which is the highest enrolment since 2005. This year, 124 new Fellows have joined to-date and we hope to reach our target of 200 by end of 2013. The Council of 2013-2014 is determined to further add value to our membership benefits and privileges. As an academic professional body, we plan to enhance the competency of our Fellows in the domains of knowledge and procedural skills and several initiatives will be rolled out in the next six months. In addition to providing professional opinions to the Ministries and statutory boards, the Academy’s Standing Committee on Professional Affairs in the upcoming months will develop and publish these opinions as position paper and/or consensus statement by the Academy. The other priority in our strategic plan is to limit operating cost. Despite the progress and roll of achievements, the Academy remains challenged on the financial front. Led by Dr Tan Bien Soo and the Finance Review & Establishment Committee (FERC), the Academy Council successfully reduced the operating deficit by half to $95,490, although operating cost continued to soar with inflation. Looking ahead, the next 12 months will be challenging. The new FERC will maintain its endeavour to address the financial sustainability of the Academy. I am pleased to report that three important constitutional amendments were passed at the recent 35th Annual General Meeting (AGM) with overwhelming support (>95%) from the Fellows present. 1. Amendments to Article 61 of the M&AA allowing an extension of the tenure of Elected Council Members to 12 years. The greatest asset of the Academy is our Fellows. Without Fellows serving our profession and the Colleges and Chapters, there will not be an Academy today. In recent years, the Academy has had insurmountable task persuading or convincing our Fellows to serve on the Council. Much of this dearth is attributable to our Fellows taking up leadership positions in public institutions (e.g. new hospitals and medical school), academic clinical programmes, ACGME sponsoring institutions, etc. Family commitment is also another reason many Fellows are unable to find time to serve the Academy. Thus, the Academy needs to have a larger group of Fellows to draw on to serve on the Council and its various Standing Committees. The current constitution restricts the Council term of Fellows to a maximum of 4 consecutive terms or 8 consecutive years. Fellows would usually require years of service on the Council in different office capacity to gain considerable experiences and appreciate the demands and challenges of the Academy. The restriction, unfortunately, disadvantaged the Academy as senior and experienced Fellows, upon reaching 4 consecutive terms or 8 consecutive years, have to “retire” from the Council for a two-year break before he/she could serve on the Council again. The resolution was proposed by Dr T Thirumoothy and seconded by Dr Alan Ng. We had a lively discussion at the AGM weighing the pros and cons of extending the Council term to 12 years. In the final analysis, many recognised that the Academy needs to have the flexibility of enabling interested and abled Fellows to serve in exigent times. The resolution was passed by an overwhelming majority allowing Elected Council members to serve up to 12 consecutive years and also permitting “retired” Council Members to return to the Council when needed. Notwithstanding the constitutional amendment to allow more senior and experienced Fellows to serve longer on the Academy Council, I would urge our younger Fellows to come forward, not just to serve our Academy, but also our Colleges and Chapters. 2. Amendments to Article 64 on Master’s re-election. The resolution was proposed by Dr Ng Keng Yeen and seconded by Dr Tan Bien Soo. The rationale is to enhance leadership continuity for the advancement of the Academy’s vision and mission. The current Constitution limits the term of the Master to only two (2) years, with no prospect of serving a second term. A single two-year term may not be adequate to allow the Master to effect and implement strategic plans and developments for the betterment of the Academy. By enabling the possibility of a second term, there is prospect for the Master to see through the vision and developments that he has spawned. The prospect of a second term also allows for an effective and successful incumbent Master to continue leading as Master for a longer period. As the incumbent Master is nonetheless subject to re-election, a democratic process is still in place. The resolution received almost unanimous support and was passed at the AGM. However, amendments to M&AA passed at AGM shall only become effective after it has been approved by the Minister of Finance and the Commissioner of Charities. As such, the recent Call for Nomination for Master-Elect is compliant with the existing constitution. In my previous Message, I have outlined the goals and objectives underlining the formation of the Chapter of Clinician Educators. I am pleased to update more than 50 Fellows gave their support for the Chapter’s formation, which surpassed the minimum requisite of 30 Fellows. The resolution similarly received resounding support at the AGM. With the formation of the Chapter of Clinician Scientists and Chapter of Clinician Educators, Fellows can now participate in activities and programmes offered by their respective Colleges and Chapters as well as by these two Chapters. I wish to convey our heartfelt thanks to Drs Tan Kok Chai, Lee Kok Onn, Chan Yew Weng, Tan Bien Soo and Ong Hock Soo who have contributed to the Academy as Elected Council Members for the past year. Although they are “retired”, many of them will continue to serve in the various Standing Committees and shall be eligible to return sooner to the Council when the amendments to the Academy’s constitution receives statutory approval. 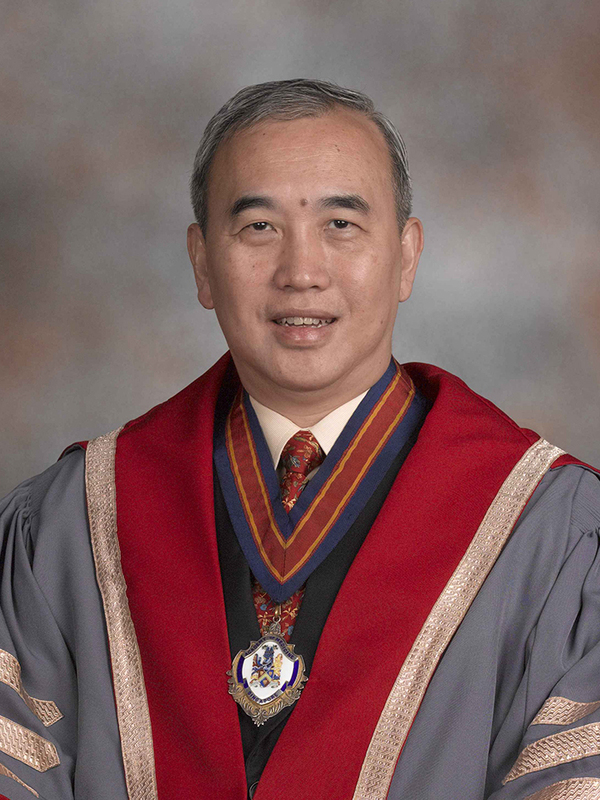 Similarly, I wish to register our sincere appreciation to the outgoing Appointed Council Members, Drs Chong Jin Long, Chan Siew Luen, Bernard Chern, Steven Ng, Alan Ng, Anthony Goh and Selan Sayampanathan, for the excellent leadership of their respective Colleges and Chapters as well as contribution to the Academy. Under the leadership of Editor Dr Tan Eng King, and Emeritus Editor Dr Vernon Oh and the Editorial Board, the impact factor of the Annals has increased progressively since 2004. I am very pleased to announce that the Annal’s Impact Factor continues to achieve new heights. It is now 1.362, up from 1.25 in 2011. Please continue to support the Annals by submitting good scientific work and articles for publication under the various categories. 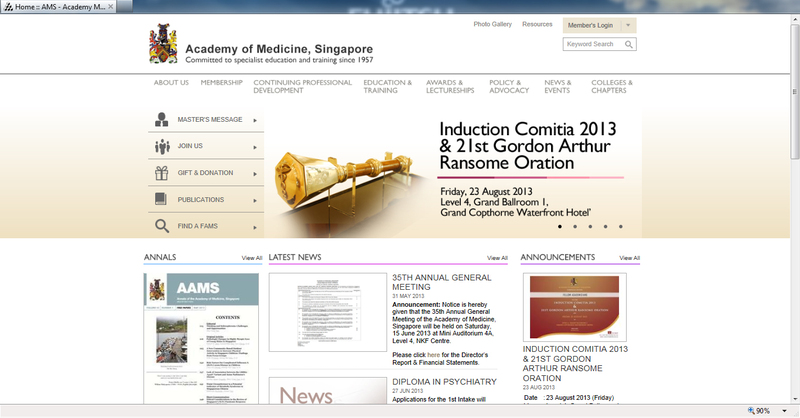 At this juncture, I would to remind all Fellows that the 47th Singapore Malaysia Congress of Medicine and 2nd AMM-AMS-HKAM Tripartite Congress will be held on 23-24 August 2013. I would encourage you and your trainees to register for the Congress to benefit from the excellent scientific programme and also to support the Academy. In closing, whilst the next 12 months is expected to remain challenging for the Academy, there are also prospects of opportunities in the offing. As the fellowship of the Academy grows from strength to strength, we need to strive for unity in diversity. A stronger and unified Academy will be more successful in representing our interests and advocating for our profession in the years ahead.